These birds were seen at Hengistbury Head in Bournemouth - a kind of cliff top heathland nature reserve - they were sighted separately but might be the same bird? I've struggled to identify them, I hope you can help. 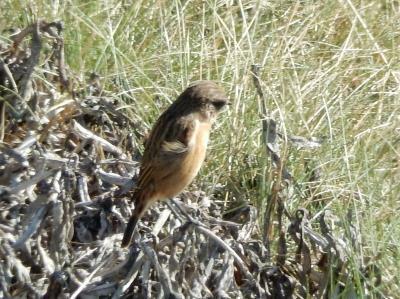 44 The top photo looks like a female Stonechat, Josh but the photo is not clear enough to be sure. 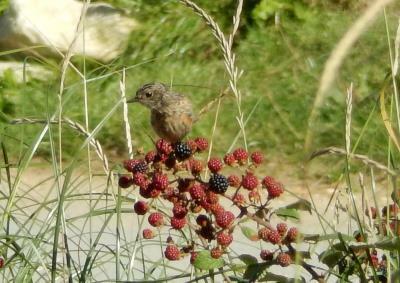 The second photo is not dissimilar and the features could be those of a Stonechat.